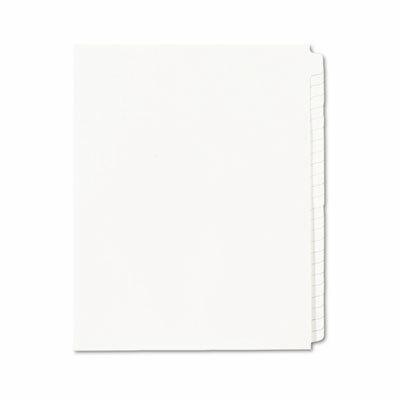 Use alone or with 25-tab printed index dividers for easy customizing of legal index. Rip Proof™ reinforced tabs for labeling to specific needs. The binding edge is unpunched, so these dividers can fit paractically any binding system. Use alone or with 25-tab printed index dividers for easy customizing of legal index. Rip Proof™ reinforced tabs for labeling to specific needs.